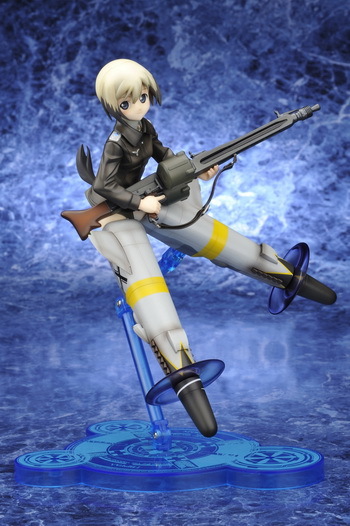 February 16th, 2010 By: GGT2 Category: 2010/05 release, Figure News. 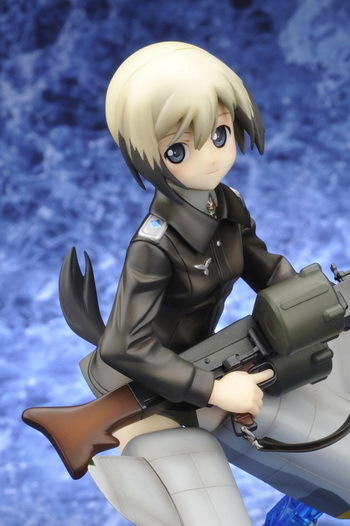 Kotobukiya is going to release the Erica Hartmann ( エーリカ・ハルトマン ) 1/8 PVC figure form the anime “Strike Witches” ( ストライクウィッチーズ ). 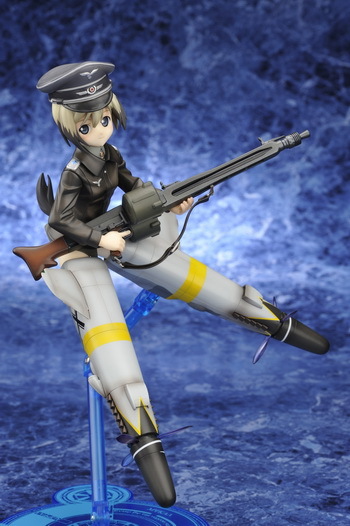 Will be released in May 2010. 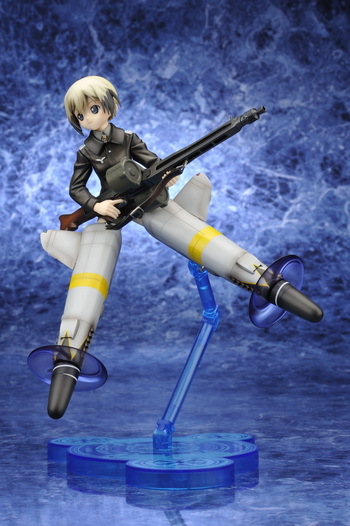 Around 220mm tall (190mm tall with figure alone), 6,800 yen. 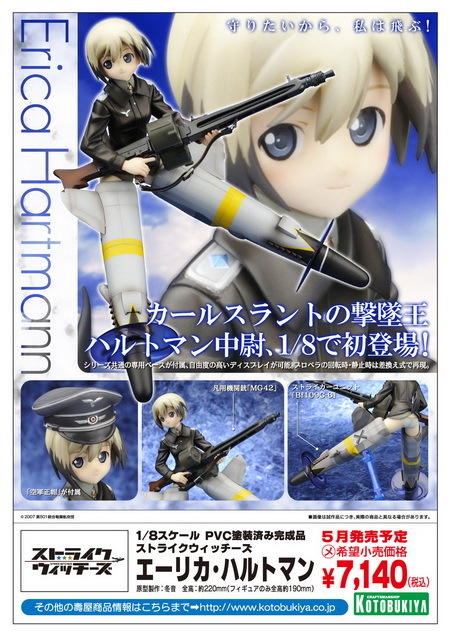 The ultra-ace from Karlsland, Hartman finally makes the leap to 1/8 scale! 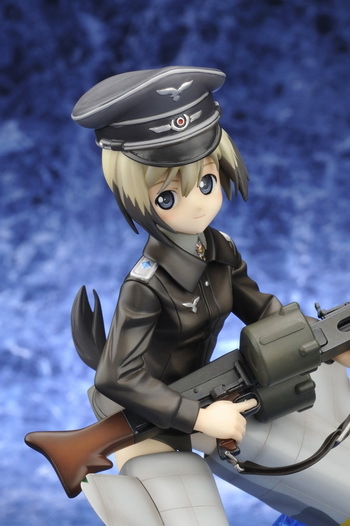 Featuring great detailing, amazing accuracy both in the Striker Units and her rifle as well as a very cute face, this is a must have for Strike Witches fans! 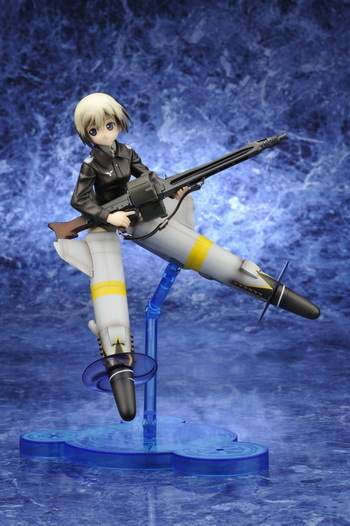 The display base is adjustable, so you can choose to display her however you like!